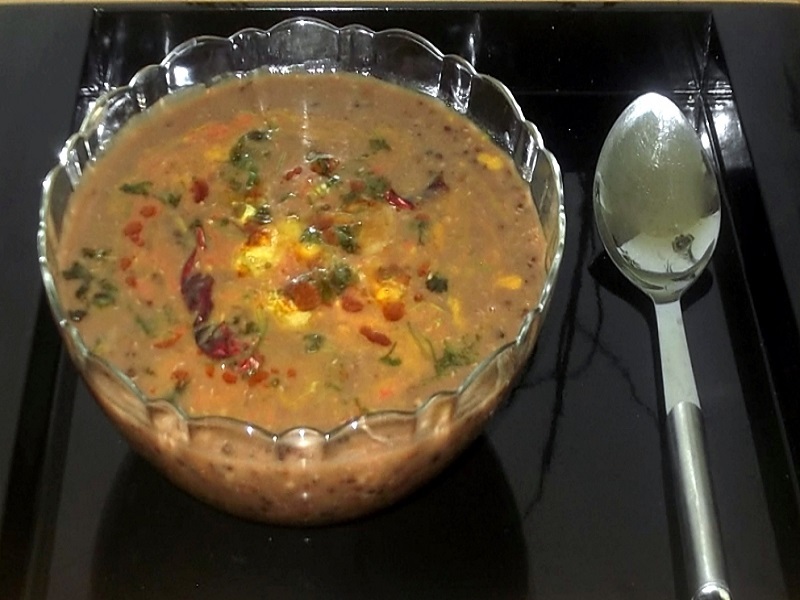 Scrumptious recipe of Dal Makhani also popular as Maa ki Dal. 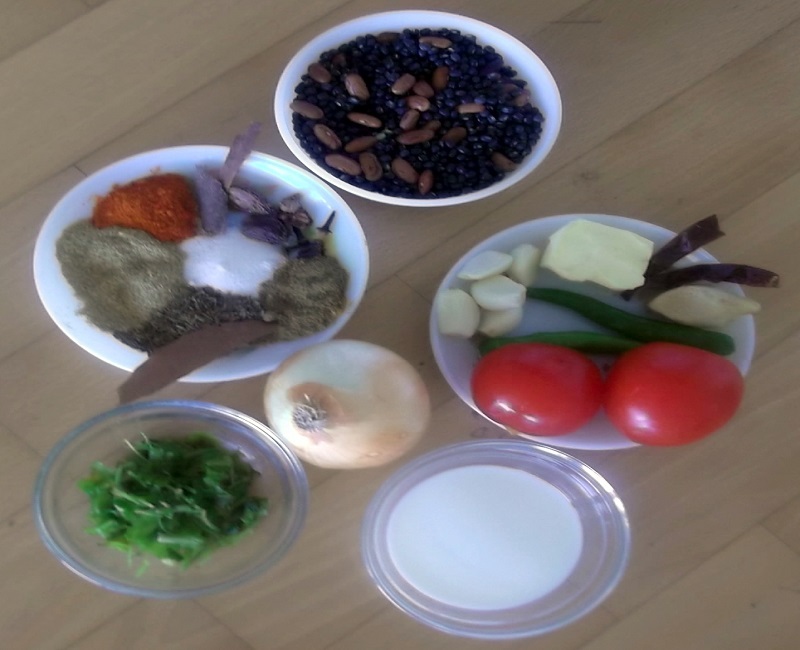 Dal Makhani is the very popular in Punjab and Delhi. You will find in every restaurant. If you are travelling on highways between Punjab and Delhi, you will definitely find it on every dhaba or restaurant. It come out to be more tasty, if cooked for very long time on slow heat with pure ghee. It is prepared using whole black gram. In a pressure cooker put 5 cups of water and the pre-soaked dal and rajma into it. Also, add chopped 2 cloves of garlic, half piece of ginger, cloves, big cardamom, bay leaves, green chilies and salt. Close the lid and put it on high flame. After 1 whistle lower the flame. After about 30 minutes switch off the gas and when the steam goes of completely, open the lid. Add 1 cup of water into dal and whisk well for 5 minutes. Then add coriander powder and cream or milk. Let it boil for another 10 minutes. In another frying pan, heat oil and once it is hot, add cumin seeds and whole dry red chillies. Let it splutter for few seconds. Now, put rest of chopped ginger and garlic and chopped onion. Saute it until onion turns golden brown. Then add chopped tomatoes and nutmeg powder and mix well. Add this tempering to the dal and boil for 5 minutes & then switch off the gas. Remove it to the serving dish and put butter over the dal. Sprinkle garam masala and garnish with chopped fresh coriander before serving. Dal Makhani goes very well with naan & lachha paratha. In the recipe it says to add coriander powder while not in the ingredients ?